This whole election thing is just too much. I’m retiring to a land of Redbox movie (The Raven) and bottle of wine (Apothic Red) to wait out the decision. Oy vey. 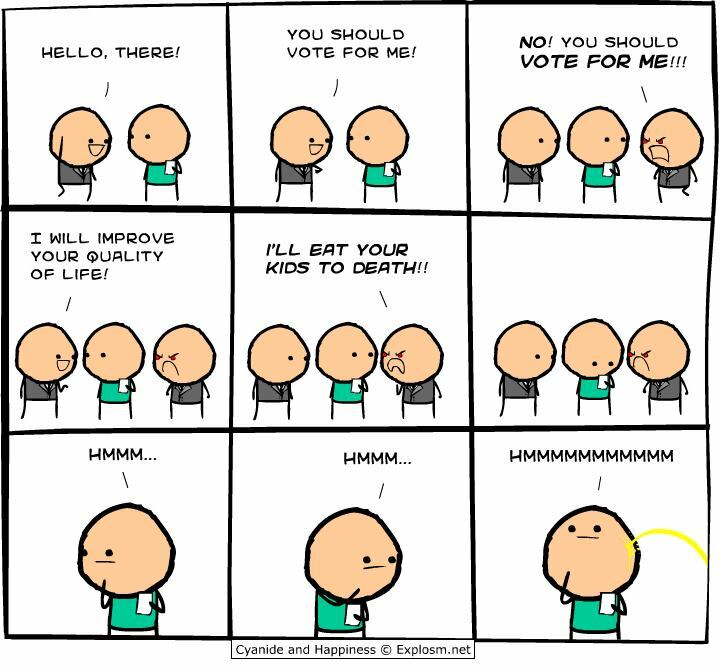 Also, here’s a comic from Cyanide & Happiness that had me rolling laughing earlier today, and still makes me chuckle heartily.